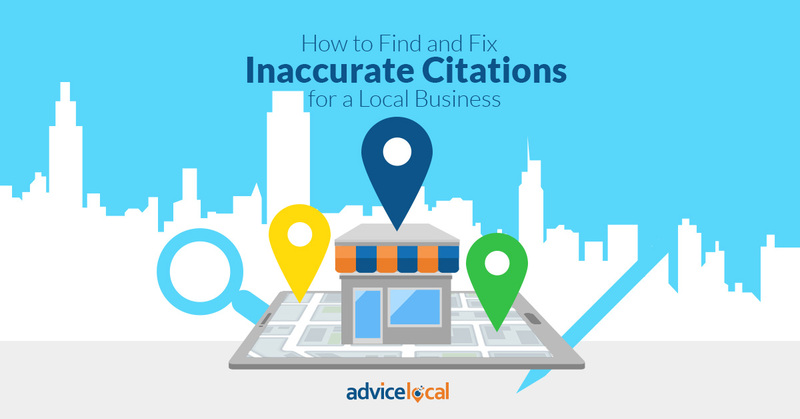 When it comes to improving visibility and getting found online, local citations play a critical role for local businesses. Remember, a local citation is any mention of a business’ name, address, and phone number (NAP) online. There are several ways to optimize business listings online, but consistent NAP data is at the basis of all high-quality citations. In fact, 73% of consumers lose trust in a local business when they find incorrect information about the business online. When a consumer searches from their mobile device, a citation is often one of the first results that appears. This could be a Google Map listing, Yelp review or even the Facebook Page. This occurs because these citations have more influence than the business’ website. If multiple NAP variations appear when searching, it can have a significant effect on the business. The amount and quality of these citations also impact how search engines evaluate and rank the business’ websites. The more high-quality citations a business has from high-authority websites, the better. It’s impossible to clean up citations if you don’t know where to look for them. 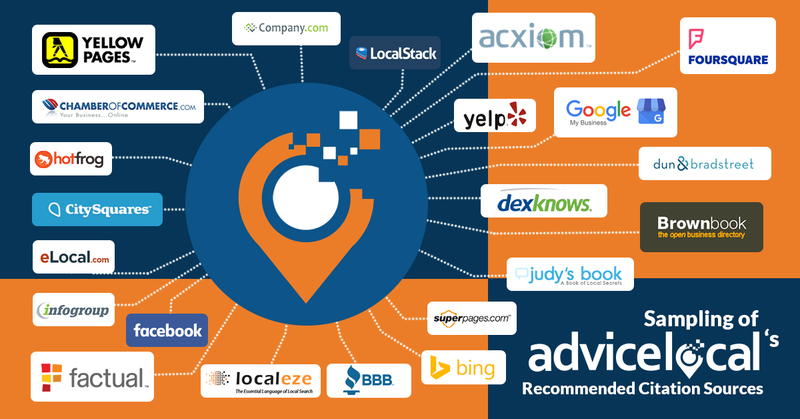 Fortunately, there are plenty of tools to help businesses locate their online listings. Our free Online Visibility Report is a great starting point for identifying these citations. Local businesses can also search online to see if their information is up-to-date in individual directories. Depending on how “dirty” a business’ citations have become, there may be several variations of its NAP data online. Before bad data can be corrected, all variations should be identified and recorded – ideally in a spreadsheet for easy tracking. When looking for inconsistencies that need to be cleaned up, consider whether the physical address, phone number or website address have changed over the years. Next, determine exactly how you want the business’ information to appear online. Inaccurate NAP directly affects local search rankings, so it’s vital that all information found in business listings matches the information provided on the business website. Search for each of the NAP variations listed in your spreadsheet to see what turns up. Search for the phone number with the name of your company in quotations, preceded by a minus symbol to identify citations with inaccurate business names. Search for listings with outdated NAP data (perhaps an old phone number or address if the business has ever relocated). Find listings with incorrect phone numbers by searching for variations of the number accompanied by the company name, preceded by a plus symbol. Include the business name, address and phone in quotation marks for an exact match. Place a minus symbol before a quoted element to exclude it from search results. Be sure to create a list of all inconsistent citations and exactly what data needs to be fixed on which websites. Ideally, include the link to the listing that needs to be corrected. To make the best use of your time, start by cleaning up data on the most important sites. Data aggregators, for instance, provide information to directories and search engines. So by submitting updated, accurate listings to aggregators like Factual, Acxiom, InfoGroup and Localeze, business owners can nip (part of) the problem in the bud by fixing the source. The online data ecosystem is complex and it can take time for changes to appear, so we recommend that business owners deal with the most important citations individually. Some websites allow businesses to manually update listing information, while others require that the owner requests a change or correction by contacting the site by phone or email. Take a peek at our entire Data Amplifier Network here. When creating new citations, the listing information must be identical to ensure a consistent online presence for the business. Submit business listings to data aggregators, business directories and local Chamber of Commerce websites. Other sources for building citations include review websites and social media. Although some local directories generate listings based on data from aggregators, business owners also have the option to manually submit information to directories themselves. Still not sure if the business you represent is being affected by inaccurate citations? Download our free guide, The Complete Guide to Local Citation Audit and Cleanup, for more detailed instructions and information on how to protect a business from bad data online.